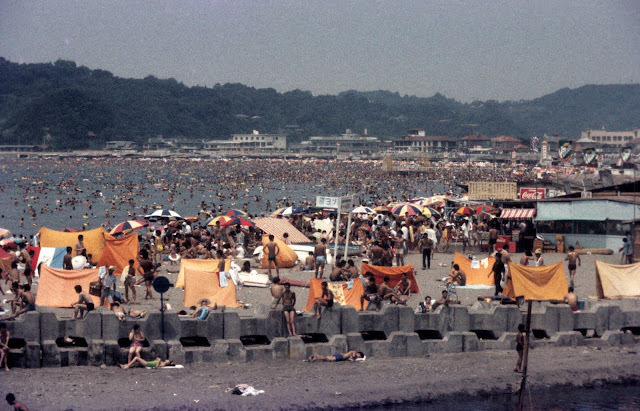 Zushi Beach, sometime in the late 60s. My recollection is that the beach was always this crowded on nice summer weekends. (It's one of the nearest beaches to Tokyo.) We lived less than 50 yards from the beach.